Any lingering doubts about whether Ed Miliband's superb speech last week was game-changing have been dispelled by the Conservatives at their conference - they are obsessed with it. John Woodcock: "Even hardline Conservative right-wingers are going out of their way to insist that they are 'one nation'"
Given its association with the deeply unfashionable 'wets' in Margaret Thatcher's Cabinets, the label 'one nation Tory' is not usually universally embraced by Conservatives. But even hardline right-wingers are going out of their way to insist that they are 'one nation' politicians after the Labour leader's chutzpah in claiming the mantle of Benjamin Disraeli last week. The indignation of Conservatives who are aghast at the purloining of a core part of their political heritage is reminiscent of Labour's spluttering when David Cameron picked up key parts of the New Labour playbook as new opposition leader. In both cases, I suspect the protests heightened the impact and played into the challenger's hands. Tory reaction has given the sense that the party conference has been a week-long denial of Labour's charges. It is never a good thing to allow your opponent to set the terms of debate. But to give the Prime Minister some credit, he does seem to realise his back is against the wall; the sense of pressure at this conference has been palpable. Tory high command knows how toxic is the sense they are a privileged elite dividing the nation. They are desperate to reframe the debate on to the more narrow ground of the necessity of further cuts to steady the parlous public finances. To have any hope of success in doing that, they must convince the public that the failure of that precise strategy during their first two years of office is a result of factors beyond their control - namely Labour's legacy and the effect on Britain of the international economic crisis. But that account of events is made less credible with pointers that Britain is performing worse than many rivals. Most seriously, it risks being destroyed by every example of government incompetence. The public is unlikely to believe claims the Conservatives are governing in the interests of the majority if it does not think they are up to governing at all. 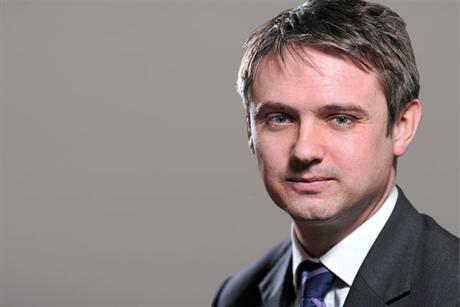 John Woodcock is Labour MP for Barrow and Furness, and a former spokesman for ex-prime minister Gordon Brown.